To have a streamlined and easy to use Daily Reporting and Time Management system, we developed this product for ourselves to use in-house. Various user types are supported and role-based access with detailed reporting are few features of this product. To ensure complete control over the product it was custom developed using CodeIgniter and PHP 7.1. Role based Access - Developer, designer, QA team, Team Leads, Managers and Super Admin are some of the different user types available in the application. Based on their role, each user type has different access level. For example, a developer, designer or a QA team member is able to review his own reports for the month and submit daily report for the projects assigned. On the other hand, a team lead is able to review complete reports of his team, his own for the current month and submit daily report with access to time allocated and remaining in the project. 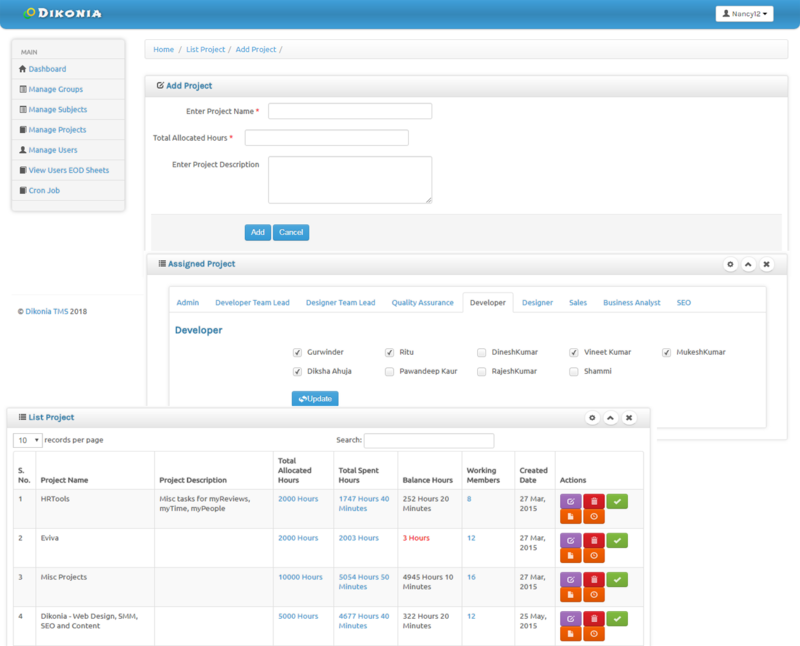 Managers and Admin are able to see more detailed reporting and have higher level of access. 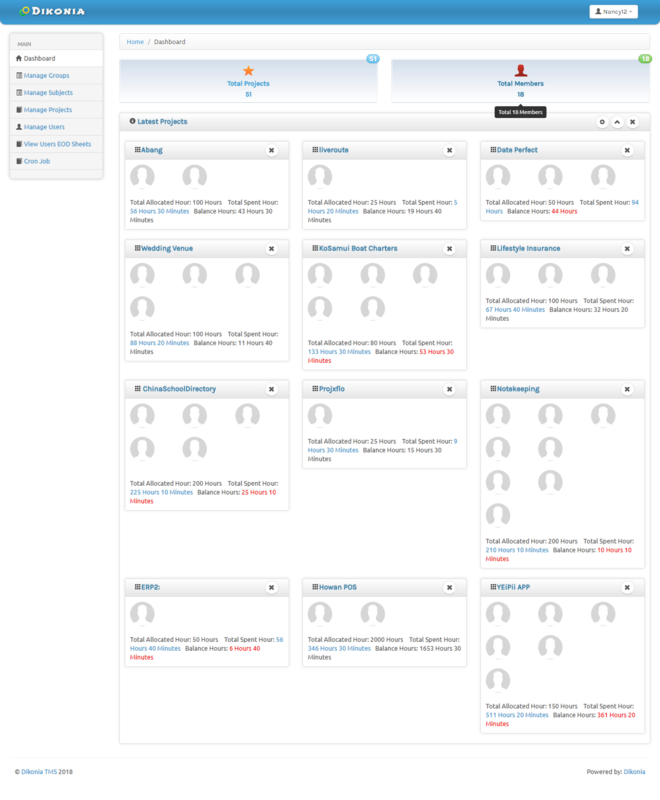 Dashboard - To enable the managers have report of all the projects on the go, a dashboard with emphasis on reporting on latest projects was built. Order of projects can be changed by the manager on his own discretion. Card display of projects was chosen as UI for the dashboard providing details about employees working on the project, time allocated to project, time spent and remaining time. Reporting - End users submit reports with complete details of tasks carried out and time spent on each task for a project. Detailed analysis is available to managers regarding the Daily Reports submitted by end users. Managers are able to review Total time spent on the project by team and individual, Time remaining for the project, details of a report of any particular day for any employee. Manage Projects - One of the main modules of the project that allows managers to create new projects, assign to employees, allocate time for project, monitor time spent and remaining, view complete listing and others. Others - Some other features available to managers in this product are to be able to schedule CRON Jobs, allow access to end users to modify/submit report for previous day. 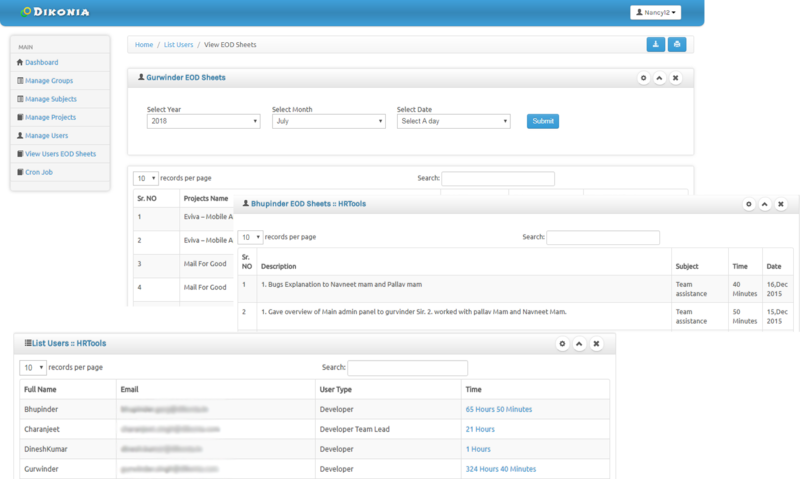 Another feature available to managers is to add/modify masters like task descriptions.